There is nothing more classic than a white shirt, than a little white shirt dress. 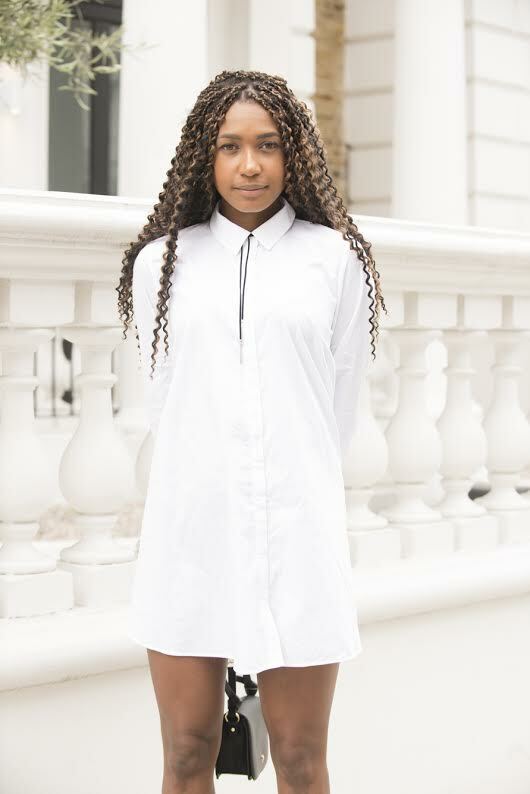 A shirt dress for me is not just for the spring or summer months, but an item that can be worn all year round and styled in numerous ways. I finally found the white shirt dress of my dreams, can you guess where?! 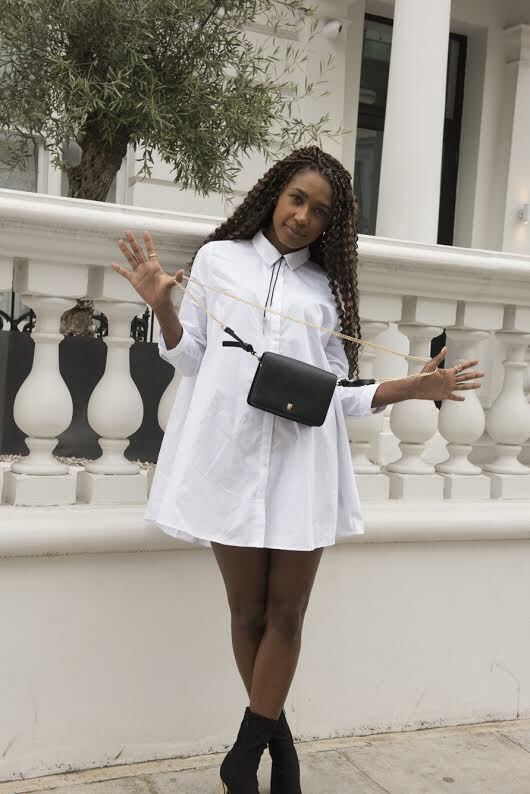 Yup Zara i've teamed it with my new fave boots from Public Desire, you may remember it from my Faux Leather Dress and Ankle Boots Post and this darling small bag also from Zara. But now we are slowly progressing in to a chillier fall, I don't plan on putting this beaut to the back of the wardrobe, oh no sister! I plan on wearing my little white shirt dress, with a pair of skinny jeans, a cozy knit and winter jacket to keep the chill at bay. On another note, we have been super busy here over at the London Mumma HQ, with loads of projects coming our way this past month and we just want to say a big thank you to all our followers and companies we are working with for all your support since we started this blog. We truly appreciate it from the bottom of our heart, so stay tuned loads to come guys. I better get going Leanora just threw my phone on the floor, as Disney's Mickey Mouse Clubhouse has just finished on YouTube, this girl must think I have an unlimited supply of excess money, you may remember my Phone Insurance post.....toodles! Plus don't forget you can also follow me over on Bloglovin and Facebook, you can also see all the shenanigans I get up to on Instagram.